We’ve been busy elves over the last couple of weeks, running a festive PR campaign for gift retailer, Tree2mydoor. Tree2mydoor.com sells meaningful, natural gifts such as trees and plants, which are delivered straight to your loved one’s door. The lead up to Christmas is a busy time for the retailer as they offer a Christmas tree delivery service, as well as a range of Christmas plant gifts. It’s a challenge for brands to cut through the noise of all the festive news stories and announcements, so to help them achieve widespread media coverage on high domain authority websites, we needed to take a slightly different approach. We designed a festive Where’s Wally-inspired brainteaser, which challenges people to spot the star on top of the Christmas tree. The seasonal puzzle left many starry eyed as they struggled to search through over 150 trees in the picture to spot the star. 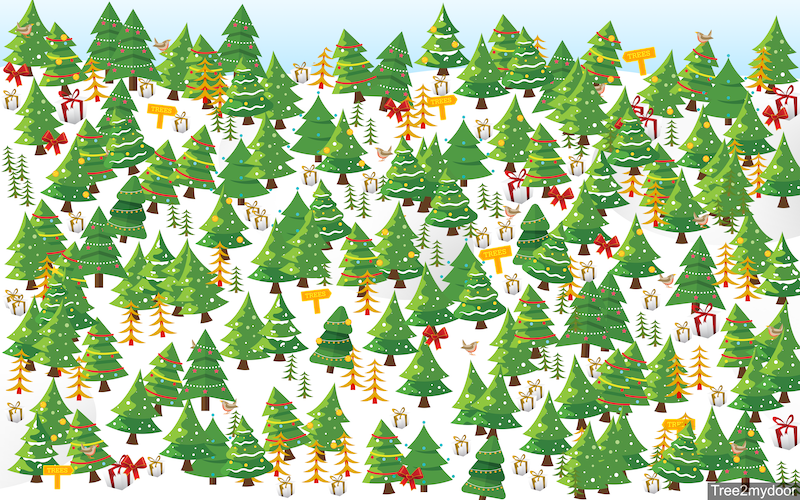 Over the last month, the Christmas brainteaser puzzle and media relations campaign contributed towards over 20 pieces of coverage, with a combined impact of over 93 million people. Several high domain authority national news websites covered Tree2mydoor’s quirky festive brainteaser, including the Daily Mail, the Sun and Business Insider. Check out Tree2mydoor.com for a range of great gifts to give to your loved ones at Christmas and other special occasions. Find out more about Unhooked Communication’s PR and media relations services here.